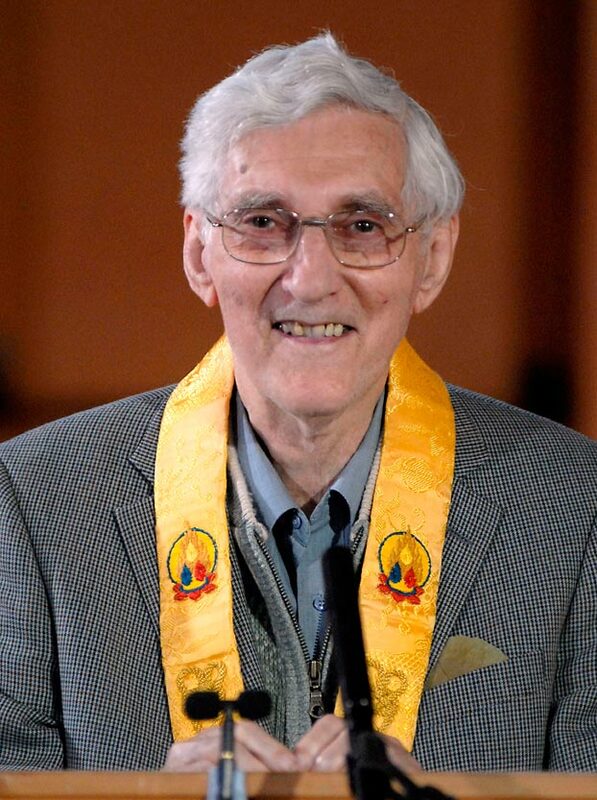 The Triratna Buddhist Community was founded in 1967 by Urgyen Sangharakshita, an Englishman who had previously spent twenty years as a monk in India. Originally known as The Friends of the Western Buddhist Order, the name was changed in 2011 in response to developments internationally. The movement now has over eighty centres worldwide. The name ‘Triratna’ means ‘Three Jewels’. The Three Jewels of Buddhism are the Buddha himself, who inspires us to awaken to how things really are; the ‘Dharma’, the teachings of the Buddha and those teachers who follow in his path and who show us the way; and the ‘Sangha’, the community of those, past and present, who share in the path. Central to the Triratna Buddhist Community is the Triratna Buddhist Order, consisting of women and men who have wholeheartedly committed themselves to living out the teachings of the Buddha in their lives. Sangharakshita’s interpretation of these teachings reaches in to their essential meaning while conveying them in a manner relevant to the modern world. We have been practising and teaching meditation, Buddhism and Yoga in the city since 1974. Initially operating from a room above a shop on George Street in Kemptown, we now work from a large four-storey building right in the heart of the City. The work of the Centre is undertaken by Order Members, who give freely of their time in leading classes, and a large number of volunteers from our community who perform much of the essential tasks needed to keep the Centre a warm and welcoming place. The day to day running of the Centre is managed by a team of four who take from the Charity only what is needed to live a simple Buddhist life. The Centre is overseen by Order Members who form a Council of Trustees and have ultimate responsibility for the running of the Charity and ensuring our ongoing spiritual health.